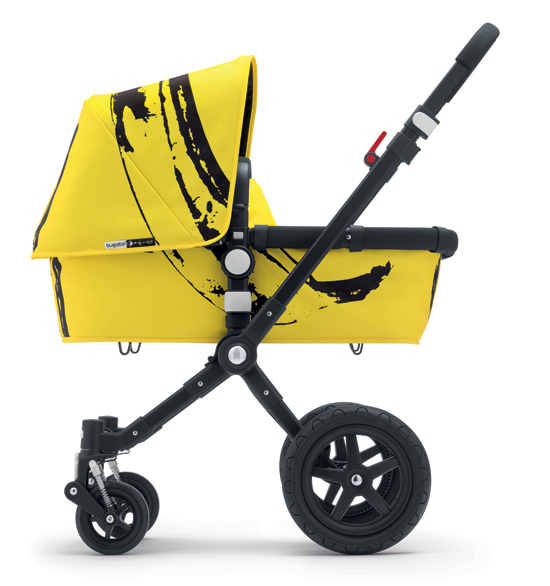 Go bananas over Bugaboo's newest Andy Warhol pram collaboration! Go bananas over Bugaboo’s newest Andy Warhol pram collaboration! Bananas. They’re often baby’s first food, so why not make them part of baby’s first ride as well. Of course, we don’t mean pushing a pram ‘decorated’ with any old banana, especially if it’s the mashed up, dried up, crusty kind. 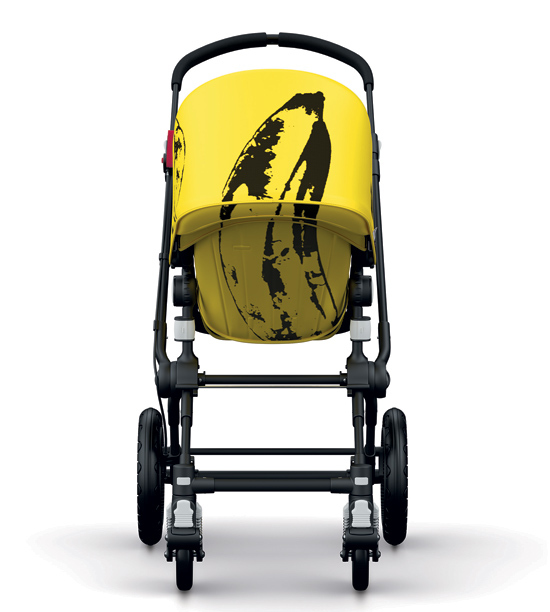 No, if bananas are on your pram radar, it’s a Bugaboo banana you’ll be wanting. 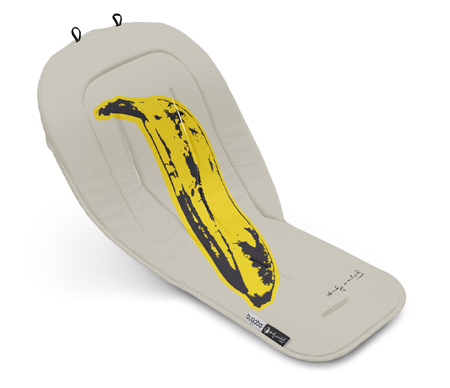 Feast your eyes on the Bugaboo + Andy Warhol Banana, the latest collaboration between the genius design and engineering of pram behemoths Bugaboo and the genius artistic expression of pop art demi-god, the late Andy Warhol. 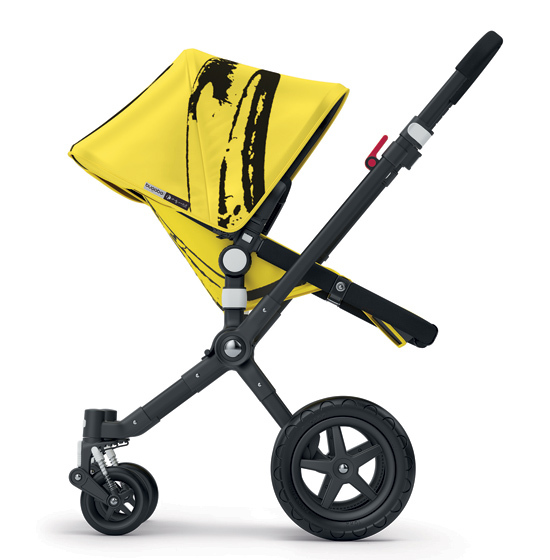 One of Warhol’s most iconic – and sometimes controversial – images, it’s now shown in all its fruity glory on a very bold, very banana-yellow Bugaboo Cameleon3. If you like what you see, but don’t want to stump up for a complete pram, it’s your lucky day because the Andy Warhol Banana collection also includes a footmuff and seat liner that fit all other Bugaboo prams, including the Buffalo and Donkey. There are no details on pricing for the Australian market yet, but – Bugaboo fans that you all are – we just had to show you this new collaboration anyway. So, tell us Babyologists, will you be going totally bananas over this one? 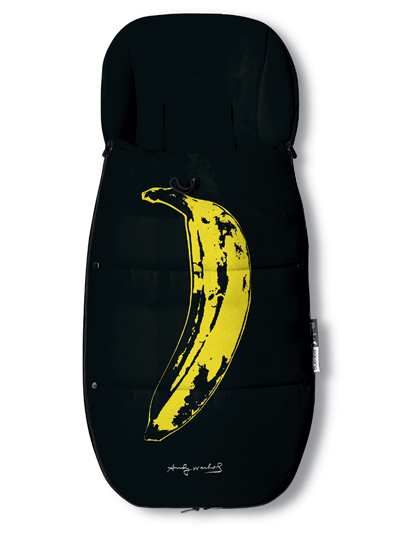 The Bugaboo + Andy Warhol Banana Collection is expected to be in stores worldwide from May 1, 2014. Find a local stockist near you over at Bugaboo. While you’re waiting for some Bugaboo banana goodness to flow your way, check our posts on previous Bugaboo + Andy Warhol collections, including Happy Bugs and Flowers.